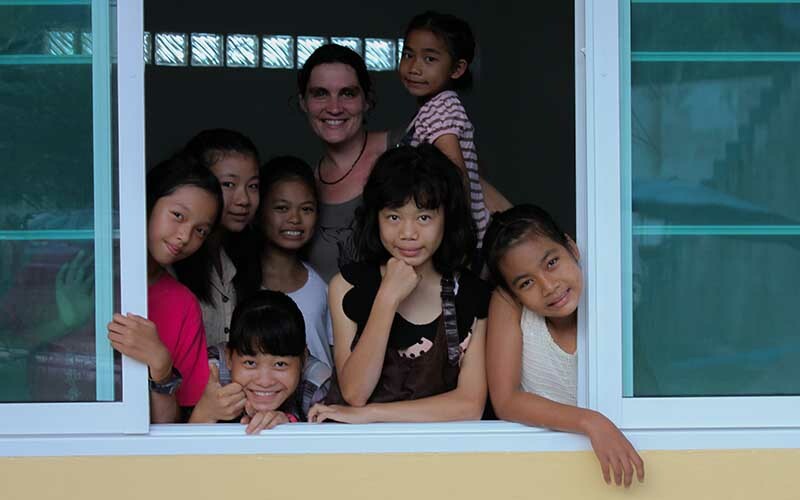 Austrian Barbara Meisl and the Swiss Graziella Ramponi Najai had just completed their studies in their homelands when they came to Thailand to gain experience as volunteers. They met in Mae Sai, the northernmost city of Thailand, in October 2007. 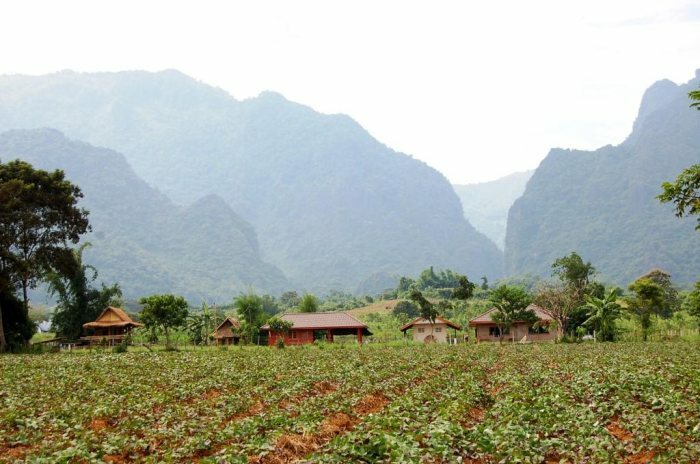 They were fascinated by the beauty of the nature, the lives of the people, which are mostly lived outside their homes, and the markets and new aromas, as well as the people who so often have a smile on their faces. 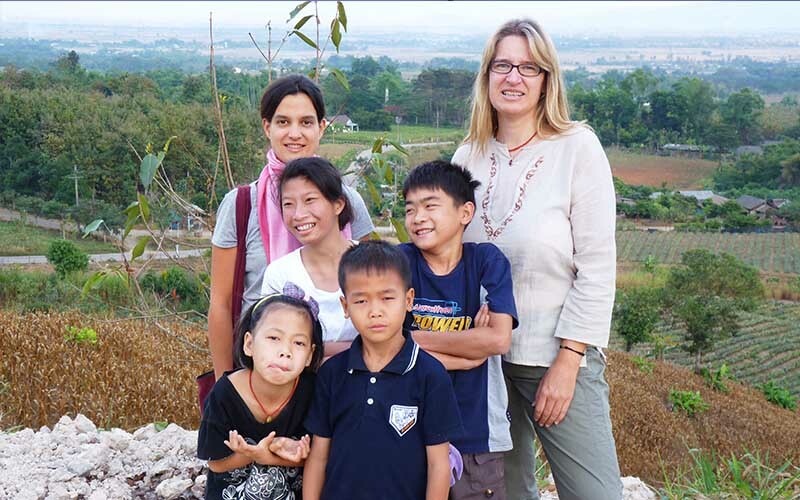 In Mae Sai they met Dam, a very sick six year old boy … neither Barbara nor Graziella knew how much this encounter would change their lives and that of so many other Thai children. The realization of this idea would not have been possible without the assistance and support of Saowaluk Janwong, known as P’ Ae. Saowaluk was the Thai language teacher of Barbara and Graziella. She not only taught them Thai, but also gave them a glimpse of the culture and traditions of Thailand. From the outset, she helped with the necessary formalities such as for example the purchase of land, the foundation of a Thai board and the registration as a foundation. After buying some land, the first buildings were constructed with the help of many friends and relatives, and in 2009 Barbara and Graziella moved in with the first four children. The project was financed partly by private capital from Barbara, and partly by donations from companies and the generous support of many people from Austria, Germany, Switzerland and the Netherlands. 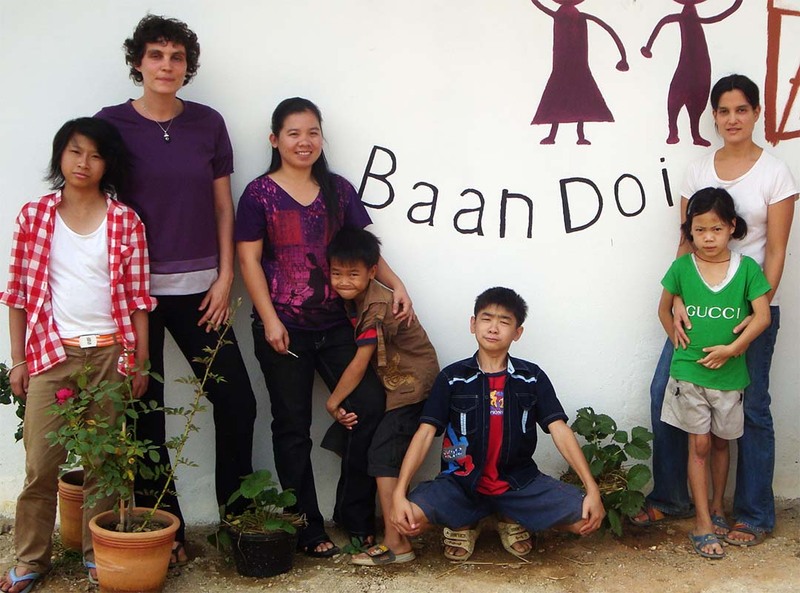 The establishment of a Thai Support Organization and the recognition of the BAAN DOI Foundation by the Thai government were further important steps along the way. As a result of the unwavering commitment of Barbara, Graziella and Saowaluk, the staff, the volunteers and the support from people all around the world, the vision has become a reality. BAAN DOI is a safe home with loving care for the children in the Orphanage, offers support for the children in the Outreach Family Support Program and also provides awareness raising seminars and the chance for all the children and adolescents to develop skills and participate actively in the programs.